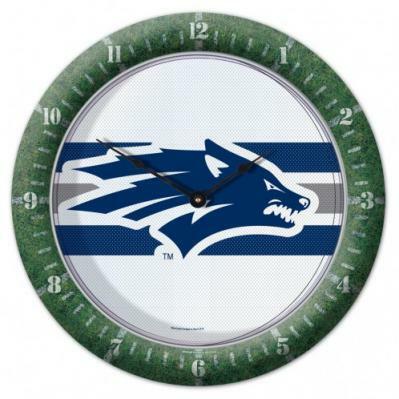 This good quality quartz movement Wall Clock would make a fine addition to someones office or den. Made in USA. Takes one AA size battery, not included. 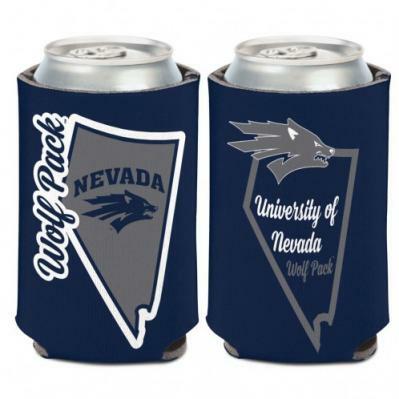 Nevada shape 12 oz. 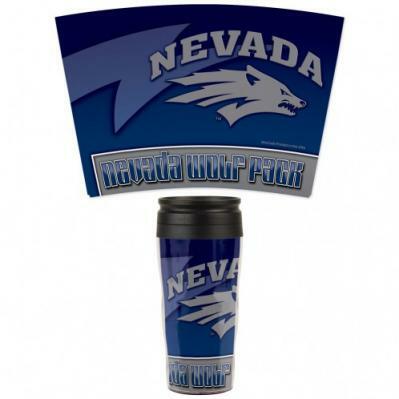 can cooler with double sided full color imprint. made with 1/8" neoprene. Made in the USA. 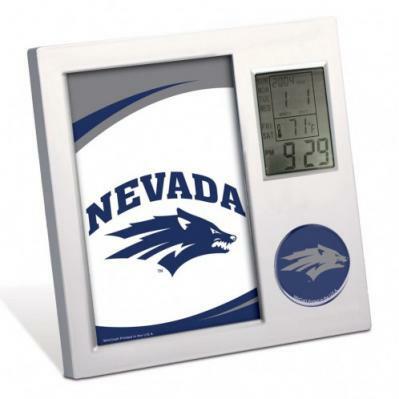 6 15/16" H X 6 15/16" W X 5/8" D Desk Easel Back Digital Clock displays time, date, day of week and temperature. Also has an alarm. Requires 2 AAA batteries not included. 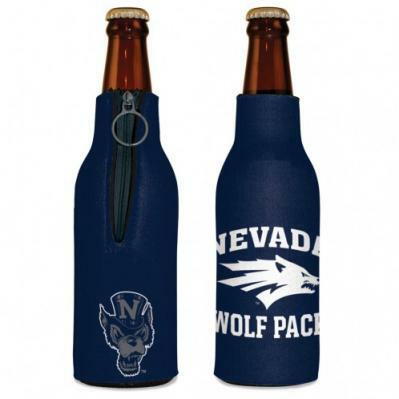 Officially license 1/8" insulating foam full color collapsible bottle cooler. Easily slips over a 12 ounce bottle. Made in the USA. 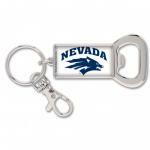 Officially licensed Bottle Opener Key Ring is made with nickel plated brass with a domed decoration and a lobster claw attachment to the split ring. Decorated in the US with parts made in China. 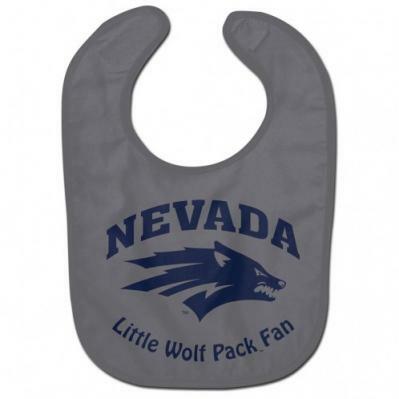 Machine washable BiB. 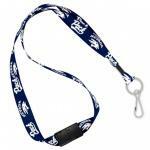 Made of polyester front with cotton back for comfort. Has Velcro closure. Imprinted in the USA. 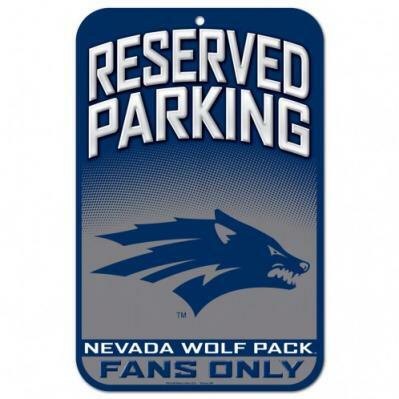 Officially licensed 11" x 17" decor signs. Uniquely shaped signs that are produced of durable plastic with die cut hanging hole(s). These signs work well as replacement to a poster because they are nearly indestructible in normal use, and can be washed with soap and water. 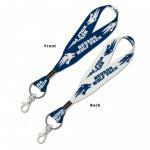 They work great in outside or indoor applications, and are perfect to hang on doors. Made in USA. 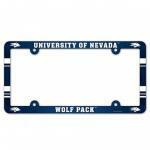 8" Perforated decal allows you to see through the decal. This is an official licensed decal. 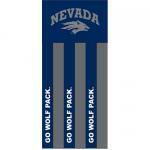 Ultra decal stick to multiple surfaces and are removable and reusable. 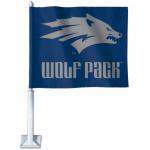 These versatile decals can be used indoors or outdoors and will not leave a residue when removed. Made in USA. 16 oz. plastic insulated travel mug. Made in USA. Can not microwave or put in dishwasher. 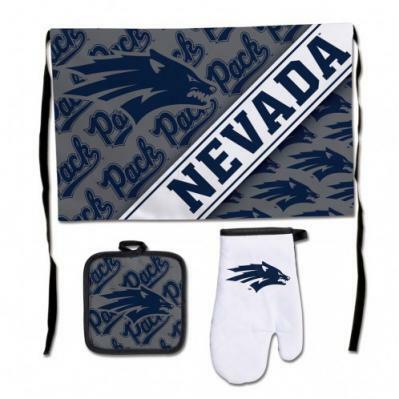 Deluxe BBQ Set included Wolf Pack Apron, pot holder and oven mitt. 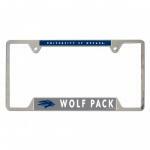 All imprinted in America with Wolf Pack logo.